Covered in this report: The Pi gets new cameras, another U.S. Picademy, monitoring health conditions with MedPi and the AstroPi in low Earth orbit. Timothy Peake, the astronaut from the UK, is currently aboard the International Space Station putting an AstroPi through its paces, when he’s not busy doing other things — like taking a space walk to make some repairs. New Pi Cameras: One of the best pieces of hardware to accompany a Raspberry Pi is the camera module. Since its release in 2013, the camera has been the staple of many Raspberry Pi projects and is so good it spurred the adaption of an infrared version, the Pi NoIR. While both of the 5-megapixel cameras are still great to use, the Raspberry Pi Foundation decided it was time for an upgrade. A new 8-megapixel camera and Pi NoIR camera have been released and will retail for $25. For these new cameras, the developers focused their efforts on concepts such as lens shading and auto white balance. The idea behind auto white balance is to get the most out of the colors in a scene regardless of the light illuminating it. For those who use the Pi Cameras as avid photographers, the improvements to lens shading and auto white balance should be greatly appreciated. While I’ve used the regular Pi Camera quite a bit, I have never used the Pi NoIR before, but after reading about these improvements, it might be time to buy one. New Picademy dates: For everyone who was saddened by being unable to attend the first ever Picademy in the United States, cheer up — a new Picademy has been announced. Right on the heels of a successful run on the West Coast, the Raspberry Pi Foundation has scheduled another Picademy to be held on the East Coast, at the Digital Harbor Foundation in Baltimore, Maryland. On August 13-14, 40 educators will get to experience hands-on training from some of the brightest minds within the Raspberry Pi community. Whether you are curious, interested in applying, or just want to learn more about Picademy, check out my previous article in which I explain the ins and outs of everything that is Picademy. Health care kit: Technology affects every aspect of modern life, and nowhere is that more apparent than in health-care. These days I log in to my health insurance provider’s site to fill out forms or to set up an appointment, and at the doctor’s office I’m greeted by a doctor with a tablet in hand, accompanied by a nurse pushing another computer of some sort to run random tests. Due to how much technology goes into health-care, it’s no wonder something like MediPi was created. Developed by Richard Robinson and piloted by the NHS, the MedPi is a Raspberry Pi powered device that allows patients to monitor their vitals on their own instead of having a nurse come to the home or having to make frequent trips to a hospital. The MedPi consists of a Raspberry Pi, the Pi touchscreen, a blood pressure cuff, a finger oximeter and diagnostic scales. It also instructs the user on how to use each part of the kit and how to record measurements taken. The real beauty of the MedPi lies in the fact that the user can send the data, encrypted of course, to the doctor or hospital through the devise. Add the fact that much money is saved in the process, and it’s a win all around for the health care industry. Special Conferences: In accordance with the amazing work that Tim Peake has done with his Principia mission, there will be two special conferences in November 2016. These conferences will be held at the University of Portsmouth and the University of York in the UK, and while attendance is free, registration is required in order to reserve a spot. 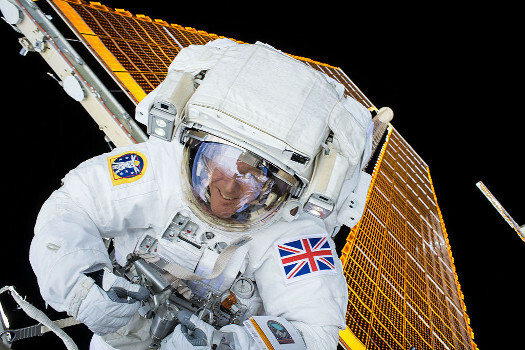 For those who don’t know, Tim Peake is the British astronaut who is currently in space conducting research with his AstroPi, which is using code created by students. The Principia mission has done a lot to further the efforts of the Raspberry Pi Foundation and these conferences will be packed with both students and educators, proving just how far the Principia mission has come.